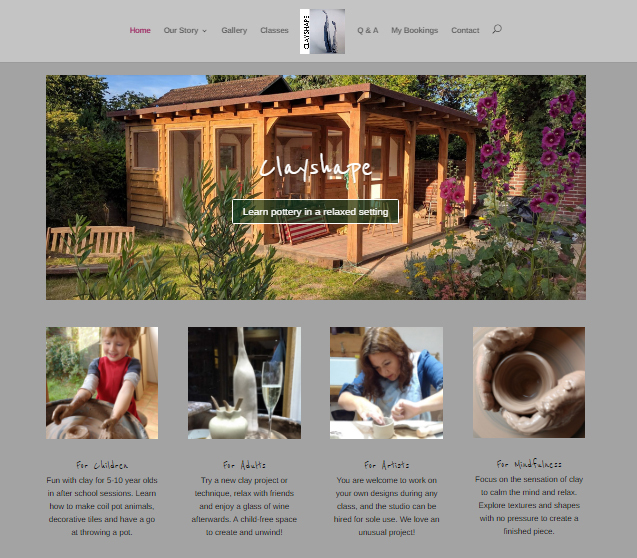 Clayshape, a beautiful ceramics studio in Wivenhoe, required a simple, attractive site with functionality for online booking of pottery classes and courses. Everyone who has come to the website and spoken to us has said how beautiful and easy to use it is. It really reflects how we feel about our new business and already we have had lots of bookings and interest generated. Emily has been absolutely brilliant at bringing our ideas and requirements to life and the website has really exceeded our expectations. I can’t recommend her (Evocative Marketing) enough.